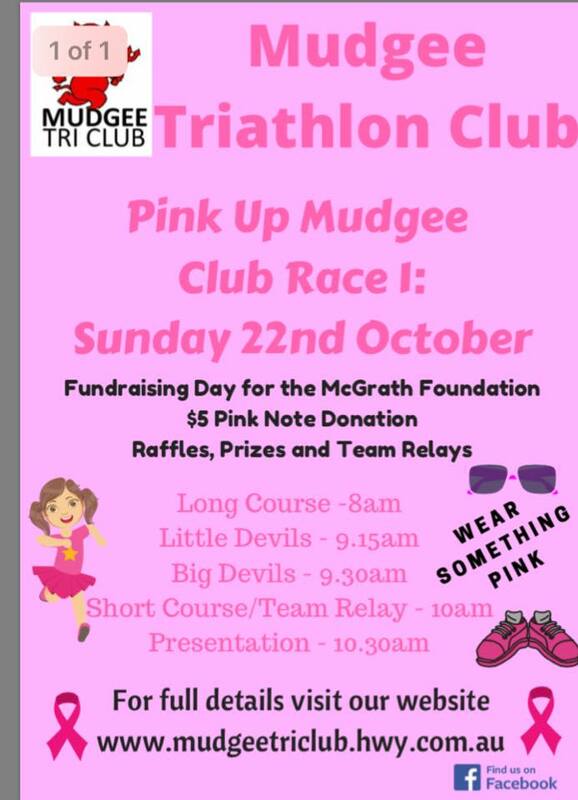 Mudgee Tri Club are raising money for the McGrath Foundation. 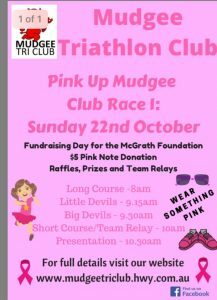 We encourage Mudgee businesses to join us. If you don’t want to race as individual, race as a team, and raise money for a wonderful cause. Enter your business in the Pink team relay. $60 per team (enter on race day). All proceeds going to the McGrath Foundation. Stay for prizes, BBQ and a raffle.